Our primary lending area is the Wichita MSA. Southwest National Bank offers a variety of loans to meet both personal and business needs. Our terms are competitive and flexible. We invite you to contact one of our loan professionals to determine the borrowing option that is right for you. We offer a wide range of types and collateral options. Loans for purchases and refinancing of vehicles, new and used. For more information on any of these options, please contact your Loan Officer. **This online application is intended for individuals applying for consumer loans not secured by Real Estate. Please contact Lending Services for an application for all other types of loans.  Please contact Lending Services for additional information or to apply for an Investment Property Loan. *We are now accepting Consumer Loan Applications at the South Seneca Branch.